Entries with tag green energy . December is here and the holiday season is upon us. We want to take this time to wish you and yours a wonderful holiday and to update you on what SMARTNet Alliance has been up to this past month. Just like St. Nick up in the North Pole, we have been hard at work supporting Ottawa’s sustainable initiatives and local entrepreneurs. We can't wait for 2019 to continue in helping to build the sustainable economy in Ottawa and beyond. There are some exciting events to kick off a sustainable new year in January. Be sure to check out the SMARTNet Sustainable Events Spotlight below to find out more. This was another year of growth and development at SMARTNet Alliance, where staff and stakeholders worked together to help advance the transition to Canada’s sustainable economy. Through events such as Green Energy Doors Open, Old Home Earth Day, the monthly Green Drinks series, and various member events we were able to grow awareness around sustainability and build demand in several key sectors. We continue to work towards our ultimate goal of scaling up the sustainable economy and building capacity for future projects and endeavors. 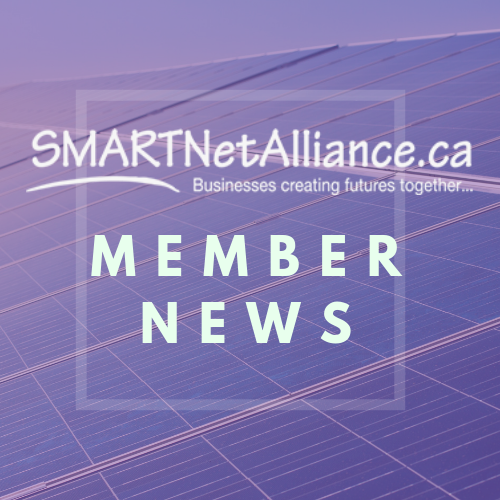 By working with like minded businesses and organizations, we were able to advance our shared principles and despite setbacks on the political landscape, SMARTNet Alliance has lead the way as a green economy steward in and around the Ottawa area. In May, we moved into our new offices at WorkAway Offices, a co-sharing space located at 900 Lady Ellen Place in Ottawa - doesn’t that sound just so fancy! It’s a great location with boardrooms, a member’s area and offices to meet every need. All in all a very exciting year! We want to wish you an incredible holiday season with your family, friends and we are excited to continue our efforts in 2019 to scale up, build capacity and ultimately shift Canada’s economy to a more robust and sustainable one. Introducing: SMARTNet Member News. This new addition to our monthly newsletter will spotlight our members and feature: news stories, articles, videos, awards and accomplishments, along with opportunities from across our network. Our members are doing amazing things in the sustainable community and we want to spotlight them. Stay tuned in the new year for more member news and spotlights. Click here to read our member news stories. SMARTpreneur of the Year Award 2018: Nominations are now open! The Ontario Sustainable Energy Association (OSEA) is excited to announce its 8th Awards celebration, the Powering for Prosperity dinner, scheduled on Thursday, February 8, 2018 in Toronto. SMARTNet Alliance is sponsoring the SMARTpreneur Award! This award is for individuals who have a business providing products and/or services in the sustainable energy sector. Businesses can be located anywhere but must be doing business in Ontario. Click here for the full details. The deadline for applying is January 8, 2018. Thank you for sharing this information with those who may find value in it! It's time for a Holiday Celebration! Come out and join the festive activities as we celebrate the holidays! Mingle and network with your fellow green enthusiasts! First round of appetizers compliments of SMARTNet Alliance. We would be grateful for items that we could use as prizes. 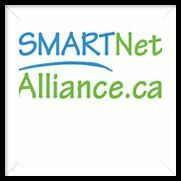 Please contact Raymonde at info@SMARTNetAlliance.ca for details. (By exception, there is no designated speaker at this month's event). We are a local community who likes to talk green. That could be green energy, wind, solar, sustainable cities and so much more! Why not join us - the green talk starts at 5:30pm. Ask for the Green Drinks crowd when you get to the restaurant. Haven't been to a Green Drinks event before? Click here to watch a video and learn more about this event. First round of appetizers compliments of SMARTnet Alliance. Group and view our upcoming speakers. If you have any questions about this event please send an email to info@SMARTNetAlliance.ca.